Together, our partnership makes your job easier. Attract and hire 10x more quality caregivers with Hireology. Reduce friction by seamlessly and securely transferring new hire data from Hireology to ClearCare. 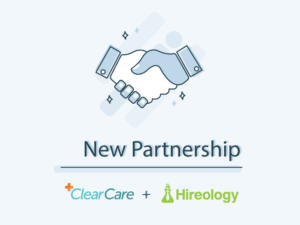 See a demo of our platform and learn more about the Hireology and ClearCare partnership. Hireology helps home care providers attract top talent with a career site and recruitment marketing strategy, and effectively engage and hire quality candidates with a Recruitment CRM. Watch the video for an overview of our solution and see how we’ve helped similar providers staff up with caregivers, registered nurses, and administrative staff. Home care is changing – and fast. 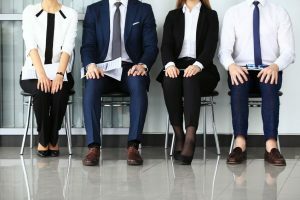 In today’s applicant driven-economy, reaching highly engaged and skilled workers will take a bigger investment in building your organization’s human capital operations and employment brand. But this investment will attract employees who are looking for long-term roles, career growth and investment back into your organization. See how our unified platform will help you attract, hire, and integrate new employees while saving time, money and driving better patient care. 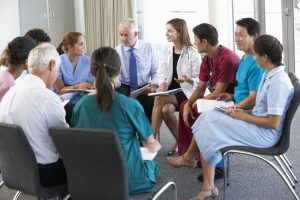 Attract quality talent to your open roles with a content-rich career site, programmatic sourcing solution and job board integrations – including healthcare-specific boards like Care.com. Your Recruitment CRM- All the tools you need to engage, organize, select and hire quality candidates. 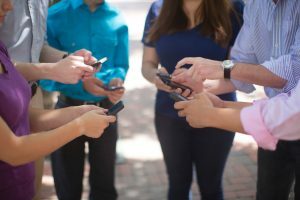 Leverage SMS and email communication tools to keep candidates engaged throughout the hiring process. Post-hire, seamlessly onboard, pay and integrate new hires into your organization. Via ClearCare, seamlessly send openshift opportunities to one of multiple caregivers, reducing scheduling time by 80%. Guest Post: What Do Caregivers Look for in a Job?